Height: 5″ 8′ Weight: 210 lbs. Relatives: Cornell Taylor (father), Glenda Taylor (mother). Skills and abilities: Paragon has 11B infantry training: Hand to hand combat, small arm training, and survival tactics, from his time in the military. He is also a licensed general contractor. Powers: Paragon’s superhuman abilities stem from unknown Keramat (superhuman) origins. However what is known is that he’s practically invincible to most physical attacks. His extraordinary speed, flight, and strength when utilized may cause disruption in communication devices due to the electromagnetic by-product energy that his body produces. Paragon has yet to explore the limits of those energies. Deacon’s descent from the heavens was nothing short of miraculous, if one could call it that. Literally exploding onto the scene one dark and ominous night, Deacon saves the lives of his adoptive parents (Cornell and Glenda) from the pursuit of angry rednecks in Eunice, Louisiana. From that day forth the Taylor’s lives were never the same. As time passed, Deacon’s powers began to manifest themselves in the form of superhuman strength, speed, & (what he perceives as) sight. Fearing that the world was not ready for Deacon’s abilities, his parents swore him to secrecy as they did their best to assimilate him into their small town society. Life was good for the Taylors and their All-American life, but when a Tornado touches down in a neighboring county, Deacon has no choice but to use his powers to save his neighbors and reveal to them that his true nature. Thus ‘Eunice’s guardian angel” is born as the small town and its inhabitants embrace the young Deacon as their very own secret. Years later, Deacon is stationed in Iraq as a Marine during the first Desert Storm when his platoon comes under fire. 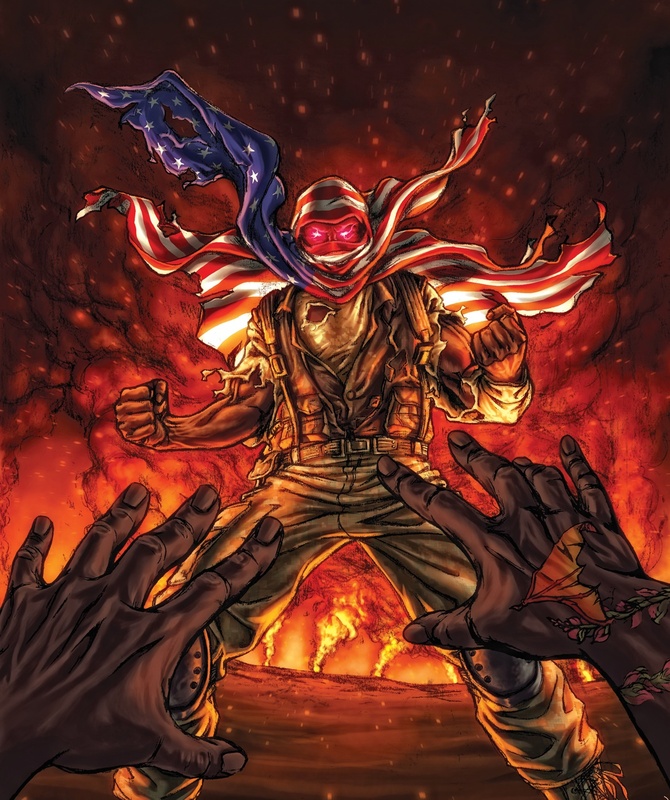 In a desperate- but selfless act, Deacon once again rises to the occasion by donning the American flag (to hide his identity) as he unleashes the full potential of his powers in an attempt to save the lives of his comrades. But such actions do not go unnoticed. The U.S. Military seeks to capitalize on Deacon’s iconic feats by renaming him Paragon, an American hero, while other mysterious forces seek to control the world’s first superhuman. But when Deacon discovers that other Keramats (superhumans) exist the fate of his destiny just may hold in the balance the fate of the world.